Wellington: The leaders of New Zealand’s main parties prepared on Sunday to start talks with Winston Peters, the leader of a nationalist party who emerged as kingmaker after an inconclusive general election, but Peters indicated he was in no rush to pick a side. 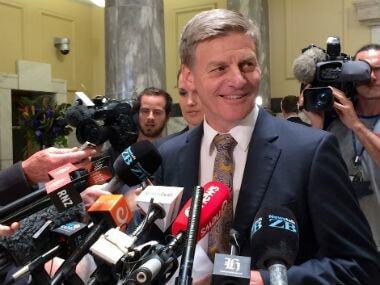 Prime Minister Bill English’s National Party won the largest number of votes in Saturday’s general election, securing a comfortable margin over the Labour opposition after what had shaped as one of the closest votes in recent history. But it was Peters and his often controversial New Zealand First Party who emerged in a position of power, with both National and Labour needing his support to form a government under New Zealand’s proportional representation system. 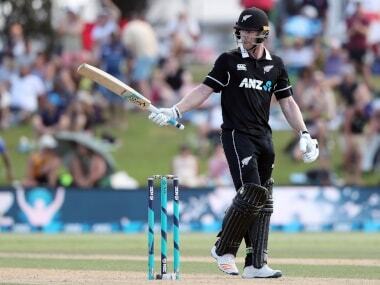 The National Party, which has been in power for a decade, secured 46 percent of the vote, while Labour had 35.8 percent and New Zealand First 7.5 percent. A final tally, including overseas votes, will be released on 7 October. The results so far secured 58 seats for National in the 120-seat parliament and 45 for Labour. New Zealand First has nine seats and the Green Party has seven. Labour and the Greens already have a working agreement, with Labour leader Jacinda Ardern potentially in a position to form a coalition government with 61 seats if she wins Peters’ support — the bare minimum needed. Peters, who has served in previous Labour and National governments, appeared to be in no hurry. He told reporters on Sunday he had not yet received any calls from National or Labour, and had not contacted them. In the past, he has backed the party that won the most votes. He said he was discussing options with members of his own party first. "I‘m doing it one-by-one by phone," Peters said. Asked how long it might be before he made a decision, Peters said, "How long before I pick you up and throw you into the water over there?" Ardern, a charismatic 37-year-old, revived her party’s flagging fortunes after only taking over as leader in August but fell far short of what early opinion polls suggested could have been a stunning turnaround. She said it would be hard to complete coalition talks until all votes were tallied. Speaking outside her home in Auckland on Sunday, she said her centre-left party would not concede until "we are sure that a stable government has been formed". English said he would proceed with negotiations with New Zealand First. "The shortest path to stable government is a two-party coalition between National and New Zealand First," English told a news conference. Analysts saw English and his National Party as the clear favourites. "I think it’s fairly obvious that it will be a National-New Zealand First government," said Grant Duncan, associate professor at Massey University. National and Labour were both expected to maintain a policy of fiscal prudence if they form the next government, although they differ on monetary policy, trade and immigration. That would likely have implications for the New Zealand dollar, the world’s 11th most-traded currency. The currency had tended to rise when National rose in the pre-election polls. "Clearly when we open on Monday morning we’re at the moment no better off — it’s either going to be Labour or National leading the country," Stuart Ive, a Wellington-based dealer at OM Financial, said on Sunday.